Start learning how to transform logos, images, and other artistic design elements into geometry that you can use to create toolpath for embossing, engraving, and much more! Our training videos allow you to master artistic programming in an intuitive, progressive way to allow you and your shop to design and machine artistic jobs with ease. The videos and digital workbook break down artistic programming by individual features so you can learn at your own pace and go back and re-watch topics at any time. 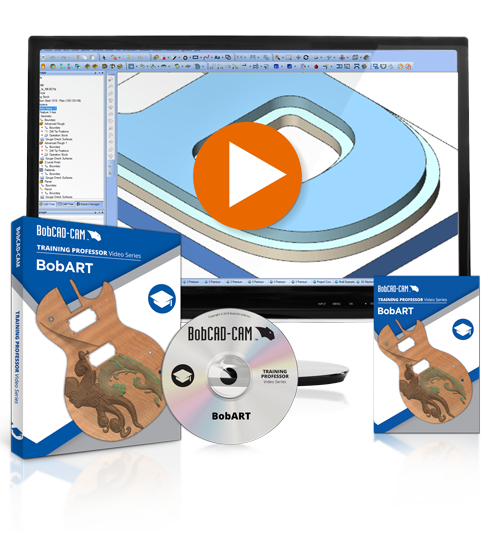 If expanding your artistic CNC capabilities is your goal, the BobART Training Professor Video Series is one of the best ways to do it. Whether you’re learning the software for the first time or looking to sharpen your skills, these videos will give you the confidence to be as creative as you want to be with your CNC.